It seems like everything these days is being stamped with the word sustainable. Coffee, notebooks, furniture- all SUSTAINABLE! The fashion industry is not exempt. It’s 2018, and everyone has a capsule wardrobe and knows that denim is a dirty business. 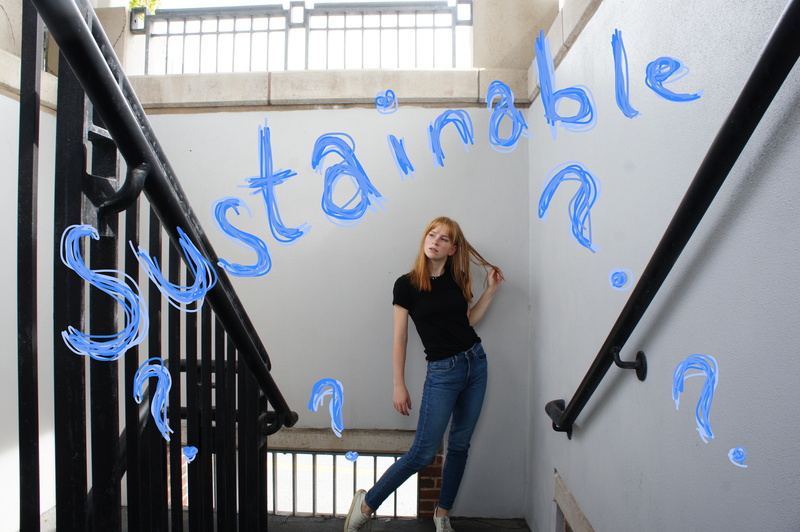 So with all of this newfound sustainability, we should all have sustainable wardrobes, right? I would argue not yet. After all, a perfect is more than just the sum of its parts. For me, a sustainable wardrobe is one that is made up of great clothes, is fulfilling, and is curated. It’s not a wardrobe that is made up of only seventeen pieces, all made out of moss handpicked in Tasmania. It’s also probably not a wardrobe filled with unworn pieces from Forever 21. It’s something in the middle, and, most importantly, it’s something personal. First up, a sustainable wardrobe is made up of great clothes. Aesthetically, that’s pieces that bring the wearer joy and a sense of beauty. Note- the wearer. That’s you! Every piece should be exciting for you, and should be something you don’t want to take off at night to go to sleep. A sustainable wardrobe should also be fulfilling. For me, that means that it’s made up of pieces that have more than just an aesthetic value. Maybe it’s a piece that I got on an especially wonderful day while living in New York. Maybe it’s a cashmere sweater that is not only beautiful, but snuggly and warm beyond words. And, of course, the way that the piece was made counts. Pieces that have care put into every aspect of their creation feel and wear differently. It’s little things; French seams on blouses, side slits on longer sweaters, full linings on jackets that show how much care and intention went into a garment’s creation. Well finished pieces will look better, last longer, and are more likely to become favorites. Lastly, it’s curated. Just like an exhibit in a museum, a sustainable wardrobe is constantly being edited. It has an inflow of new garments, but it also has an equal outflow (because there’s nothing sustainable about having to shove hangers into an overstuffed wardrobe). As far as the outflow goes, it’s important to consider where one’s clothing is going. This is where sustainability gets a little hairy. Donate, give away, sell, and yes, trash things. But the tragic truth is that the current “life cycle” of most, if not all garments, ends in the trash. After all, clothing does deteriorate with time. That’s why, in purchasing, it’s important to truly consider garments. Once you buy something, you accept ownership, and it become a part of your personal footprint. Getting rid of things is an important part of wardrobe-ownership, but it’s important to internalize the ownership of each garment, and come to terms with the fact that everything we discard (regardless of if it goes to a ‘better home’ first or not) will probably end up in a landfill. But let’s go back to the fun part- the in! 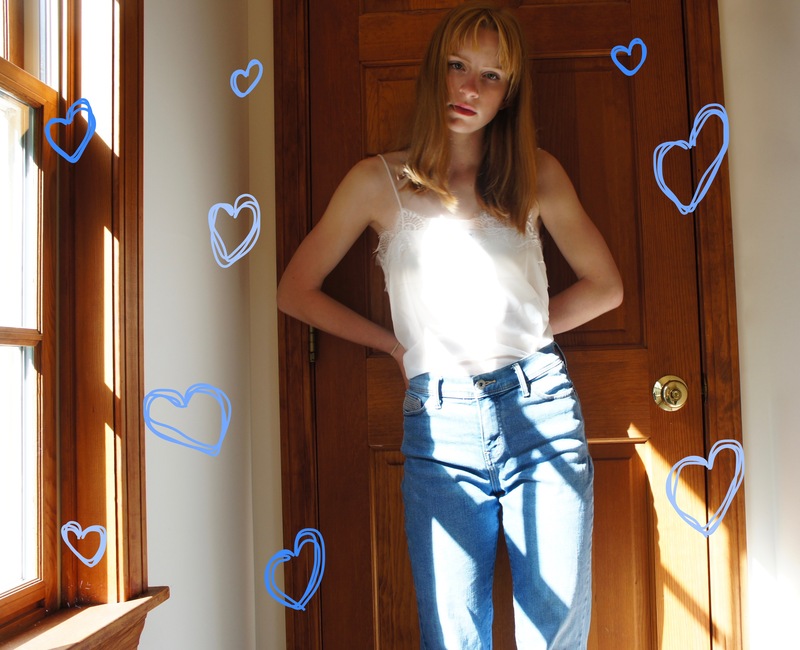 I’ve compiled a few of my favorite shops, places to get butterfly-in-stomach inducing pieces. 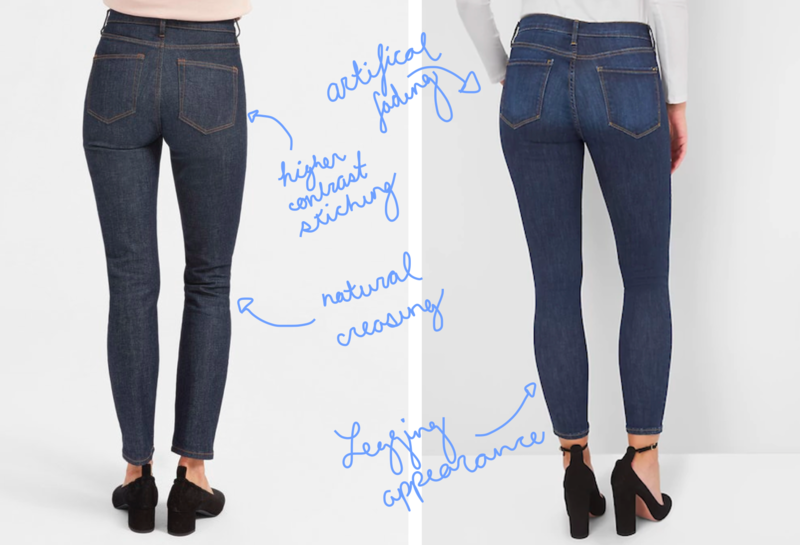 Everlane– I can’t speak highly enough about Everlane. The clothing is beautiful, made to flatter, and well priced. You can look inside their factories, examine their pricing model, and learn about where their fabrics come from. My personal favorites are the shoes, silks, and cashmere. All luxury (but with high street prices), and all completely worth it. Pact- fair trade factories, fair prices, and no toxic dyes. Imagine the number of hours you spend in loungewear. Wouldn’t it be better to spend that time in soft and sustainable fabrics that aren’t irritating? Veja– Sneakers centered on ethical sourcing and great materials. They look like fashion sneakers. Enough said. Reformation– The stereotype of sustainable clothing is that it’s all drapey, cotton based clothing that is basics. Reformation is prints, silky satins, billowy sleeves and tiny skirts. It’s to show that being ethical can still look so good. Whew! That was a lot. Now it’s your turn- what are your tips for a sustainable wardrobe?